Another favorite Website that we follow on our Facebook feed is Hometalk. You would be amazed at all the great jewels and nuggets of knowledge that people share on that site. Everyday we find something new and since our focus for January is Organization, here are some great ideas we just had to share. This first nugget is an idea that some of you may already do to keep your files organized but we thought there might be others who had no idea about this type of file system for important papers. Accordion folders have been around for some time and we’ve used them to organize our business invoices and receipts, but this idea takes it a step further. To read the article details in full, just click on the link below. We perused various pins on this board and found some awesome tips to help us organize our own workspace and homes. Some of favorite picks included a free printable planner for 2014, 11 Ways to Organize with Binders, and The Best Organizing Advice You’ll Ever Get. Just follow the link above or click on each photo to explore all the knowledge nuggets everyone has shared on this board. 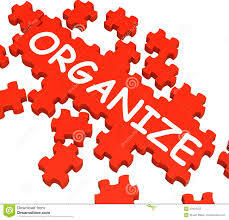 If you have some advice or organization tips to share, please add a comment below and tell us all out your methods for keeping your life organized. Are you tired of the mess and clutter? Need to downsize and trim the clutter from your life? If so, then you will love all these goodies we have to share from other bloggers. Great tips for storing movies, music, organizing teaching files and lessons, bills, and just about anything you have that needs a place for exploring later. P.S. Though some of the information from this helpful blogs may be old- 2013, we still found the tips and methods relevant for 2014. Oh… and BTW… we plan to focus our blog on organizational techniques during the month of January so feel free to join in and add comments about some of your ideas for organizing your life. Enjoy the last few days left of 2013!